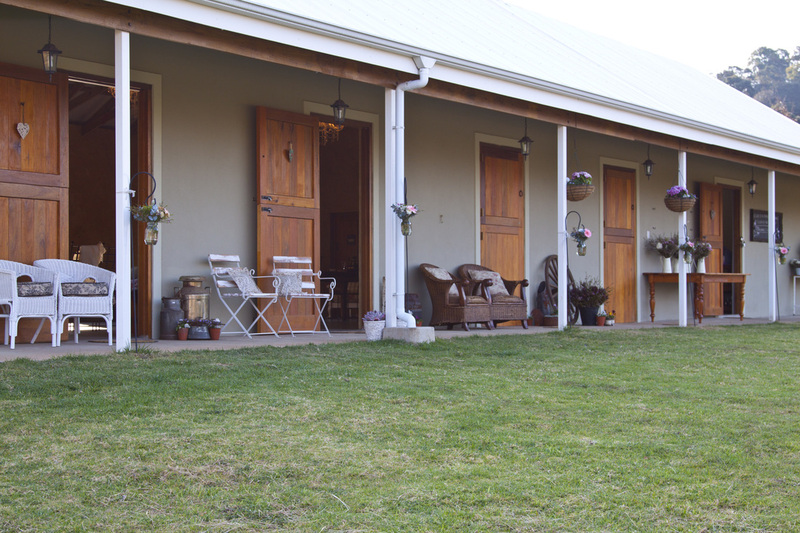 Situated on top of the hill in the between green paddocks and an enormous indigenous forest, Old Kilgobbin is the perfect haven for those wanting to escape from the hectic pace and pressures of city life. 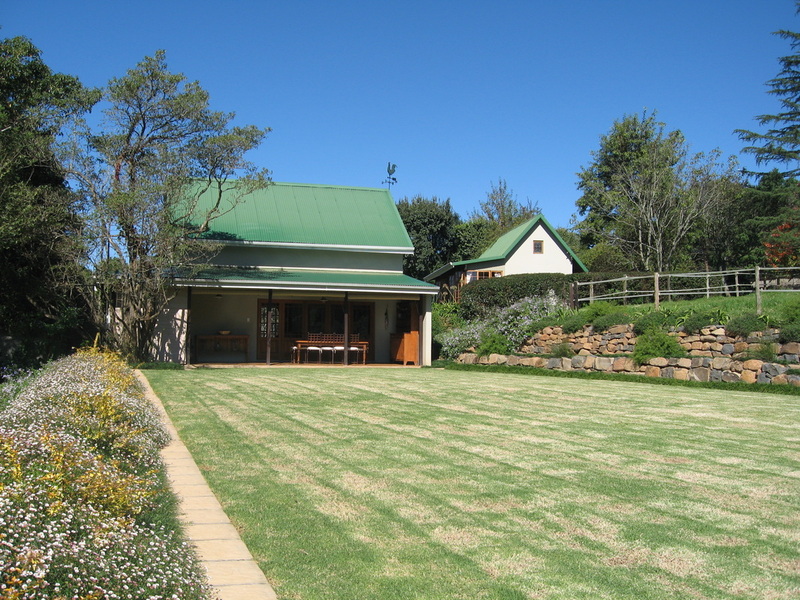 Take a walk on this 160 hectare farm and you may see reedbuck grazing on the ryegrass fields, the endangered oribi antelope blending into the hayfields, samango monkeys nibbling on nutgrass at the forest edge, and the shy duiker peeping out of his rocky home near the dam. If you arrive home in the moonlight, the pesky porcupine may shake his quills at you and have you running for the cottage door! 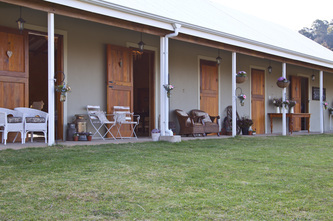 And of course you will see paddocks full of beautiful black horses because this is the home of Kilgobbin Friesian stud and HorsePlay. 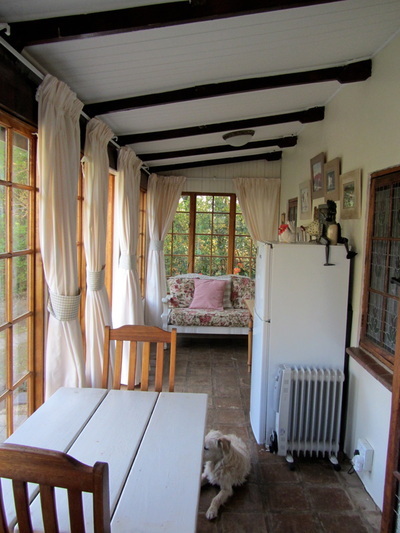 The main cottage, Gobbins' Cottage, is a spacious three bedroom home with a large open plan kitchen and a cosy lounge with underfloor heating and a fireplace for those chilly Dargle winters. The kitchen is well equipped with large fridge, oven and hob, microwave and there is a cupboard filled with spices, olive oil, teas, coffees and cookies. 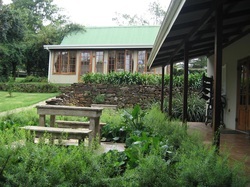 The veggie garden is right outside the back door, and you can collect eggs if your egg-finding skills are good (if not, bring your own!). 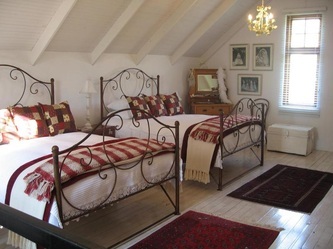 Climb the wooden stairs, past the Victorian style bathroom (shower and slipper bath), to the large bedroom that has 2 queen extra length beds, complete with down duvets and electric blankets, loads of antiques and a great sense of tranquility. 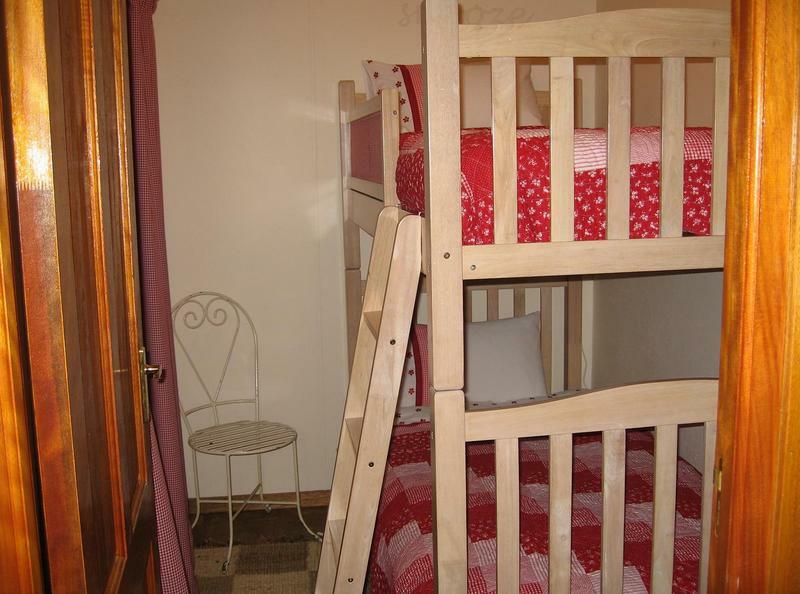 Downstairs is the Cubbyhole, a cosy space complete with sash window, looking out onto the garden, and a luxury bunkbed complete with down duvets and electric blankets hidden under patchwork quilts. 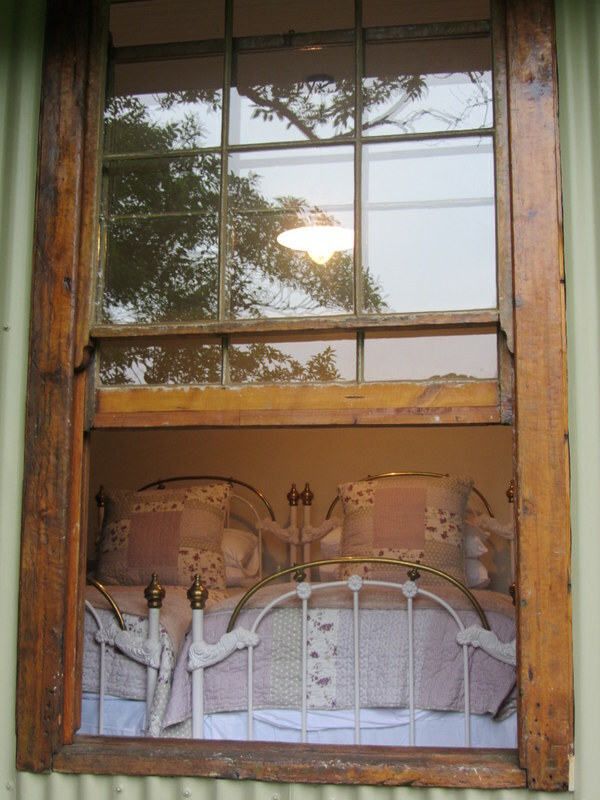 Next to the front veranda is a lovely sash windowed bedroom with 2 antique wrought iron single beds and a private loo and basin. 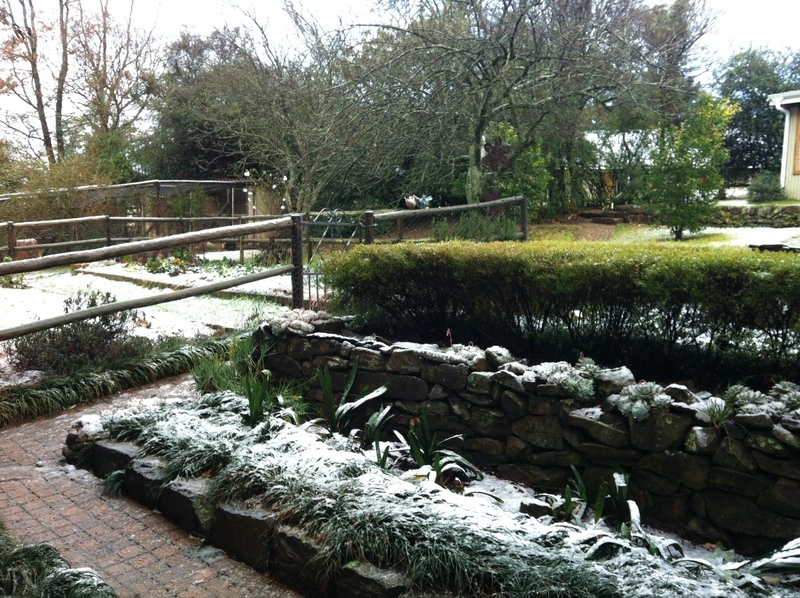 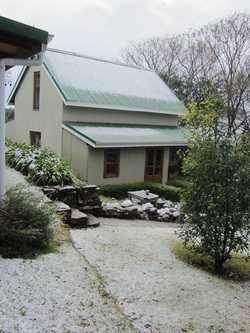 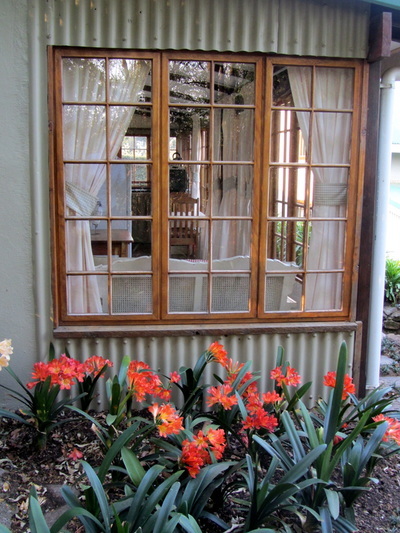 The cool back veranda, nestled beside the veggie garden and old plum trees, offers a perfect spot for discarding muddy gumboots and soaked raincoats. 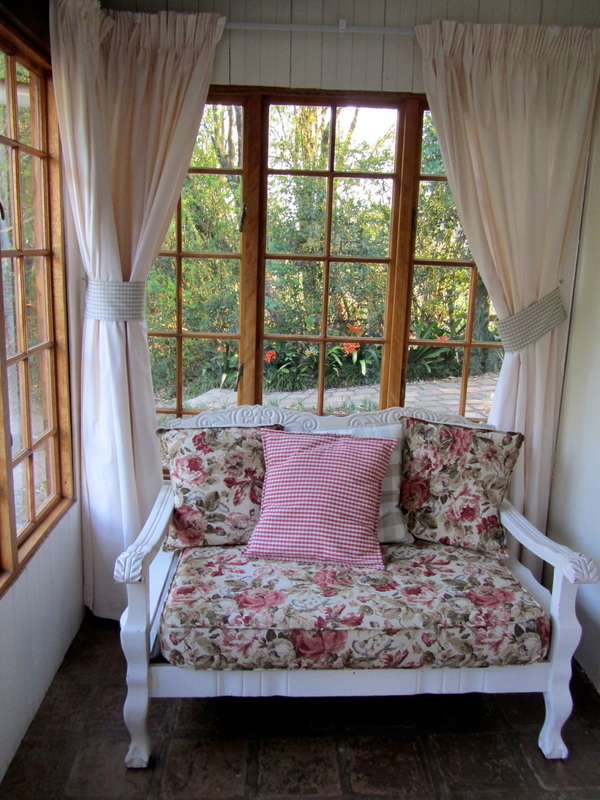 The front veranda is perfect for late breakfasts, lazy lunches, late afternoon G&T's, and has a forest view to lift your eyes beyond all life's deadlines. 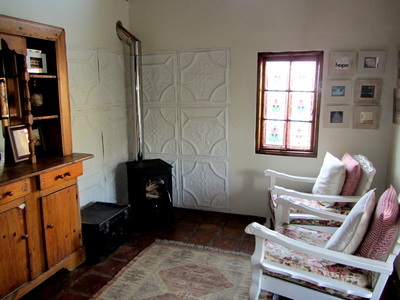 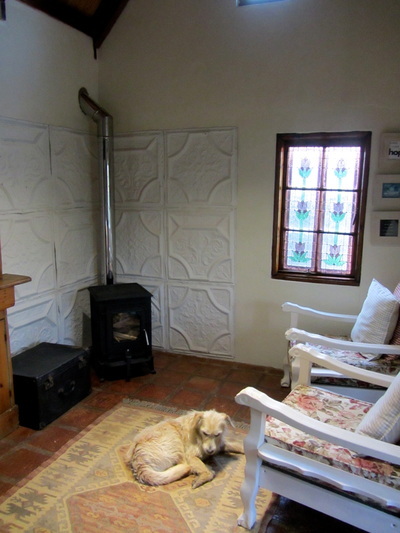 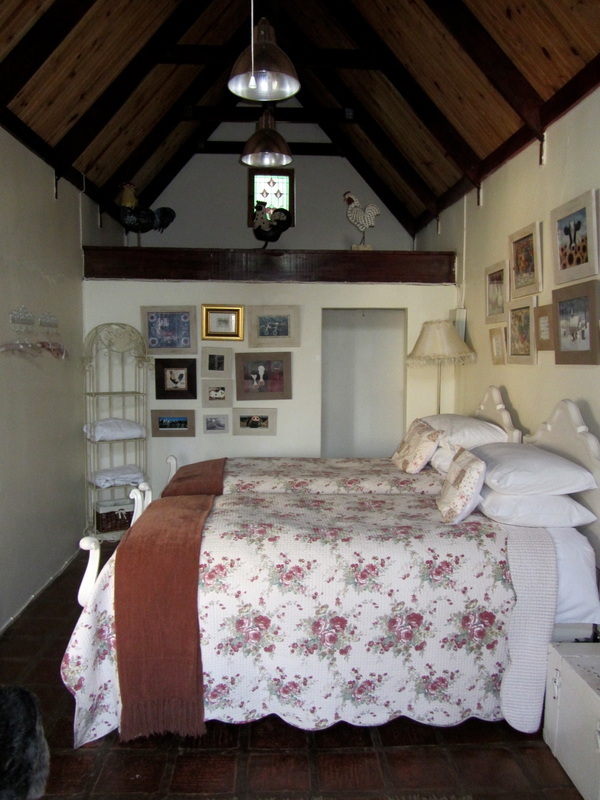 The second cottage, the Chicken Coop, is a quaint Victorian style brick, wood and iron bedsitter cottage built for two, snuggled between the veggie garden and the paddock. 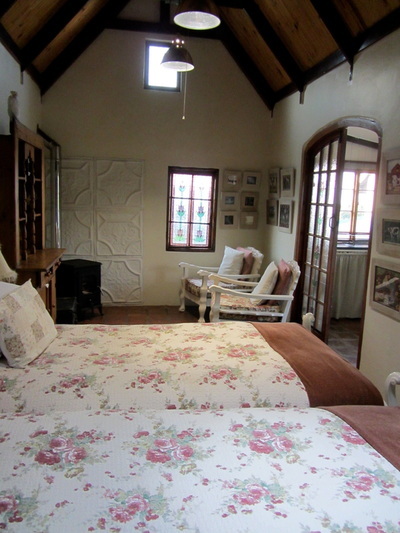 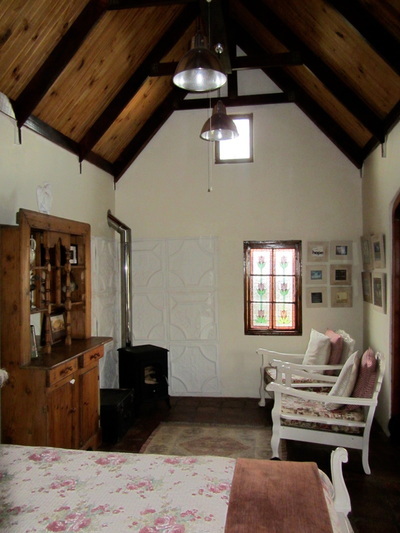 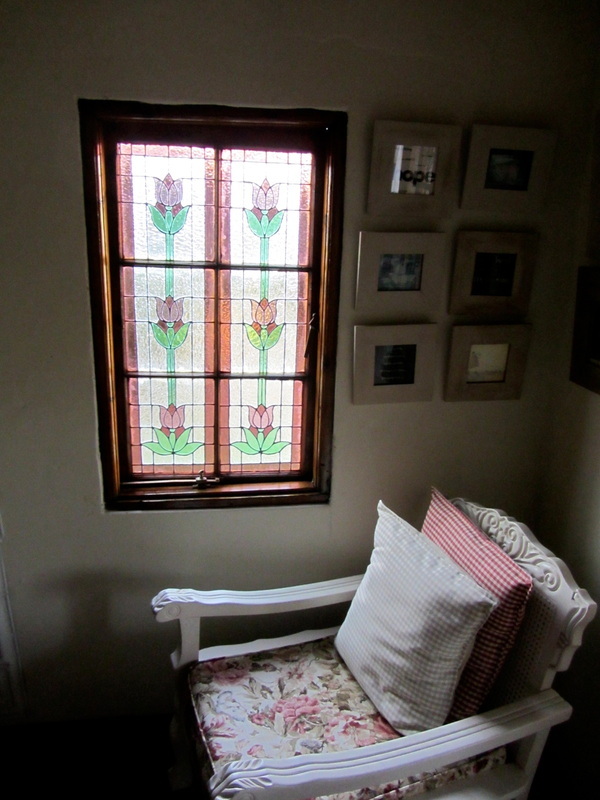 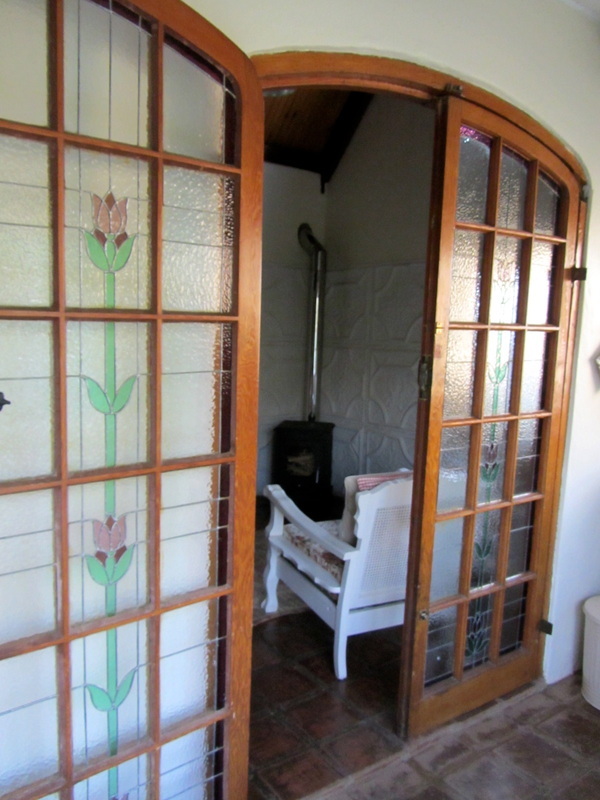 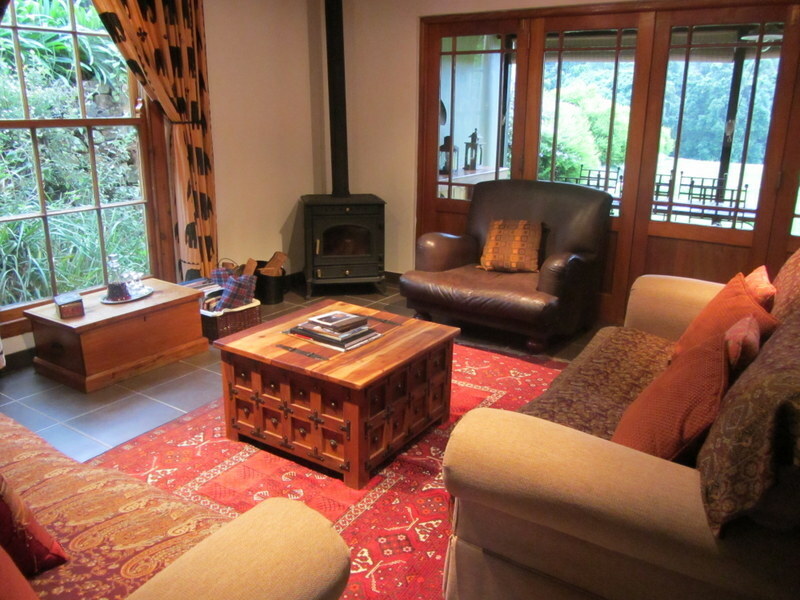 It has stained glass windows, high beamed ceilings and quarry tile floors, a small shower bathroom, 2 fantastically comfortable single beds, with a wood stove in one corner and comfy chairs. 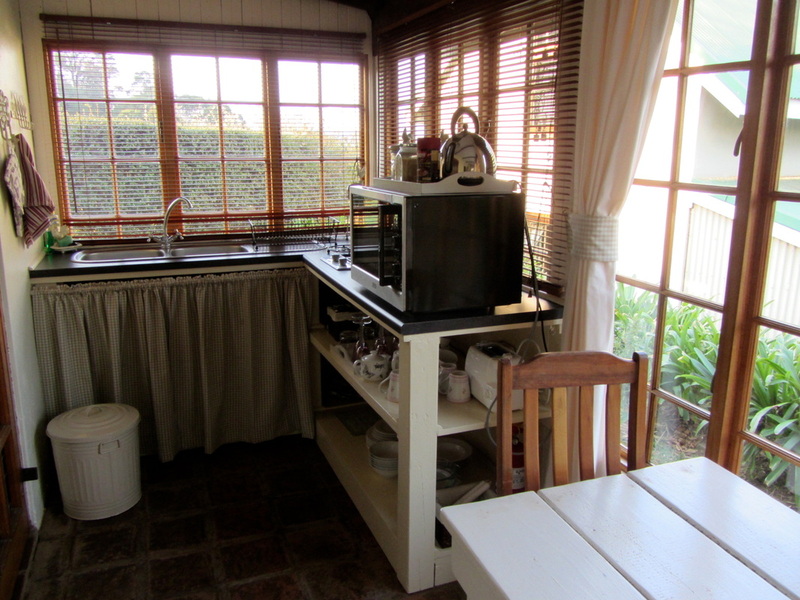 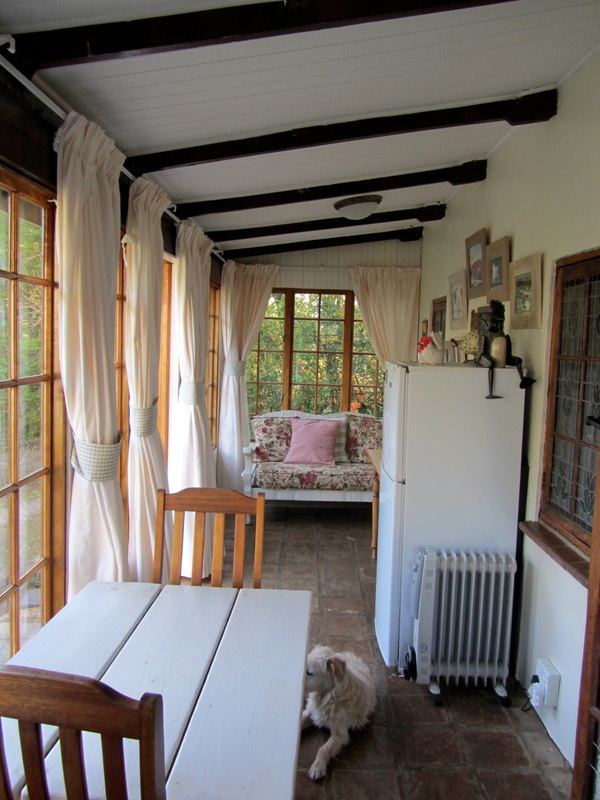 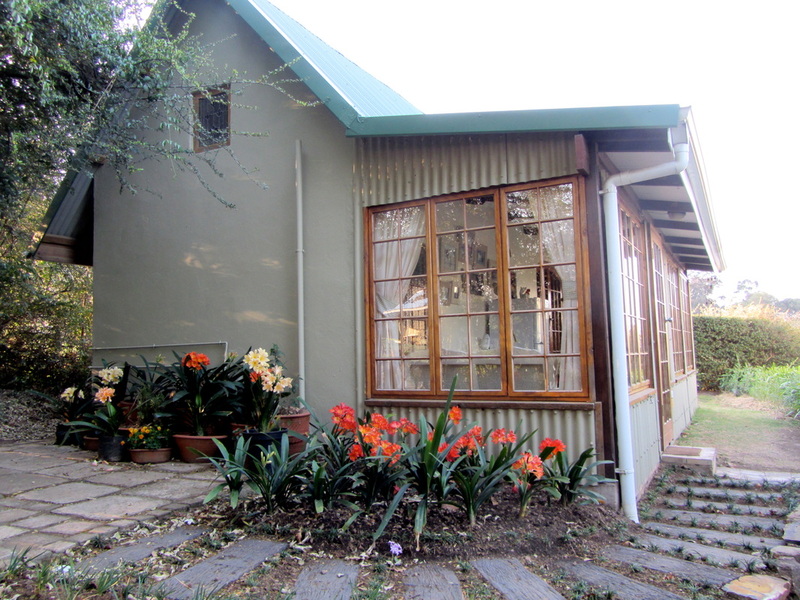 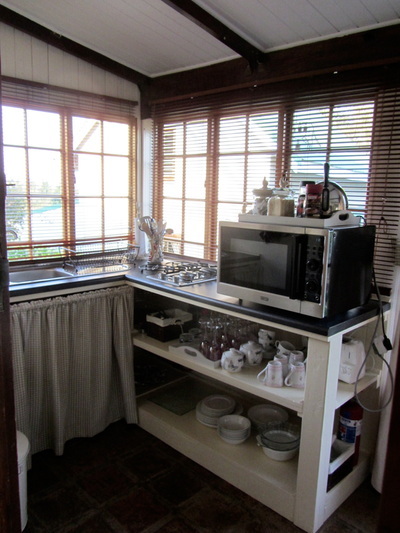 A kitchen (gas hob, convection oven, fridge) in the enclosed wood and iron veranda makes for easy selfcatering. 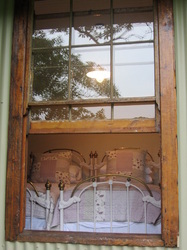 A small victorian bed can be put on the veranda for a small child. If you are a large person you just might find the shower a tight squeeze...it's not called the Coop for nothing! 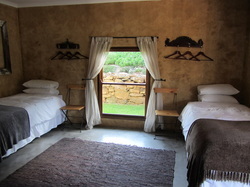 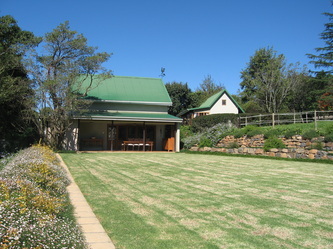 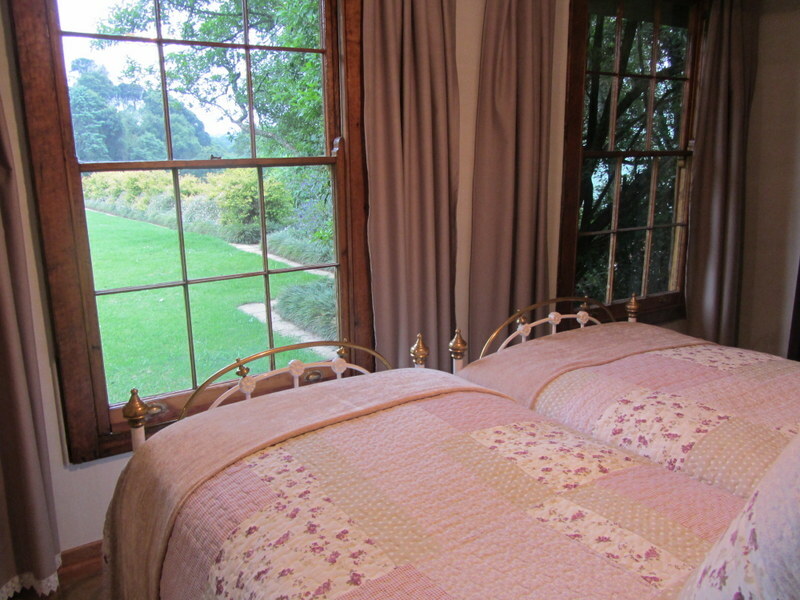 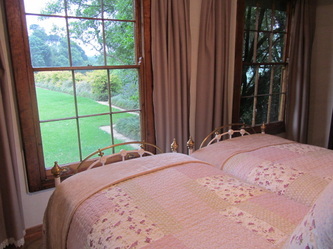 Extra person on the veranda is R100 incl vat per night for weekends and R75pn incl vat for weekdays. 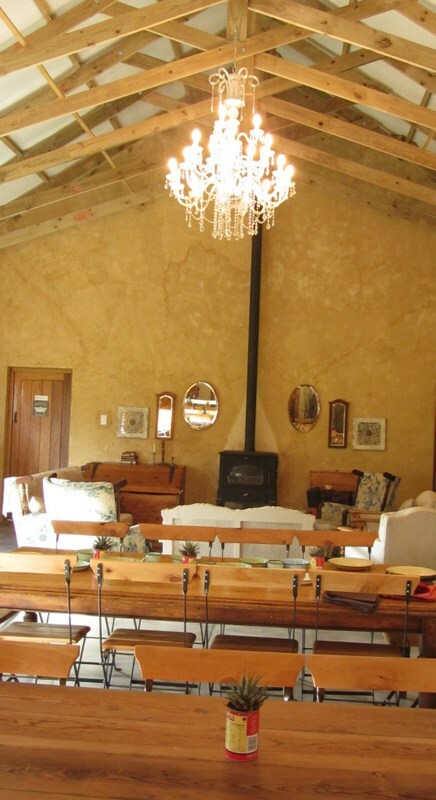 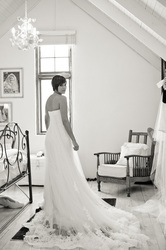 The Cairn, our barn that we use for functions such as weddings and corporate workshops etc, has a bunkroom that can be used for extra folk in a group visiting the farm if the barn isn't booked for other functions at the time. 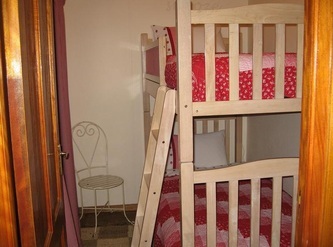 It has 4 single beds with down duvets and electric blankets and use of the barn's toilet and basin facilities and the shower. 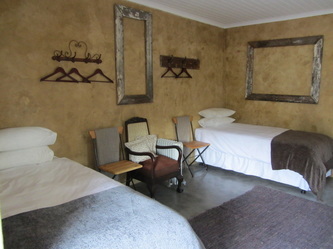 The barn has a kitchen and lounge area that can be used.